Working with Jess Talbert was a dream! Jess is a lifestyle coach with a passion for encouraging people in health and wellness. 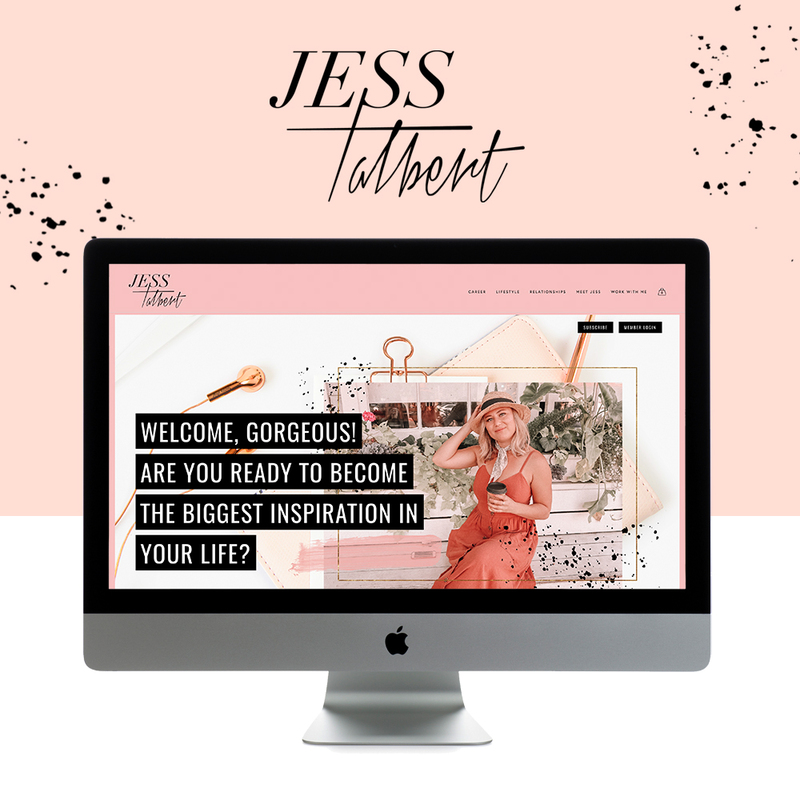 After getting to know Jess, we knew her site should feel girly, fun-loving, and get people EXCITED to work with her! For Jess’ site, we Restyled our Kira Reid Template, designed for coaches and speakers. We loved playing with her palette of peach, black and white, and incorporating fun elements like paint splatters, gold accents and brush strokes. Jess fell in love with the initial designs and the process was a breeze. We loved learning about her path to becoming a lifestyle coach! Jess: I became interested in the health and wellness world when my mother was diagnosed with stage 4 cancer in 2012. From there, my passion for learning about everything from diet, fitness, lifestyle and holistic wellness took off! I became the biggest nerd telling my family and friends what I had been learning, and realized how rewarding it was to be a support system for other people like me wanting to live a more health-oriented life. Jess: I am a little bit both self-taught and prepared from my degree in Health Education, along with getting certified through the Institute of Integrated Nutrition. Initially I had taught myself for years by reading blogs and books, listening to podcasts and watching documentaries. I think that my passion behind what I was learning was what has prepared me the most to be in the lifestyle coaching business. Jess: One of the biggest challenges in the health and wellness world is that every single person is unique in a beautiful way. I take this challenge as one of the most incredible aspects of what I do, because I care about everyone I work with and truly want them to feel how unique and special they are to the world. I believe our differences are our biggest gifts to ourselves and our community. Jess: Something I think anyone should know is that success does not come from being good at everything. Being strategic about knowing your natural strengths and using them effectively not only makes you more successful, but allows you to enjoy your work and have fun along the way! Jess: After I graduated from college, I felt like I had no idea how to get traction in the real world as a young professional. I floated through almost a year of odd jobs from nanny-ing to being a hostess at a restaurant, until I landed my first 'big girl' job in a corporate office in Los Angeles. As soon as I walked into the corporate office full of cubicles, I knew I was not in my dream career. I hung in as long as I could and wondered why I was not as happy in a corporate setting as my co- workers, but finally accepted that I would be happier in a job that I felt excited about. From there I did some planning, figured out what I would need to do to accomplish my goals and one step at a time I found myself where I am today! Jess: Being a lifestyle coach has opened so many opportunities. With a flexible schedule I can now organize my days in a way that works best for me, and connecting with people on a daily basis is a gift that I will always appreciate. 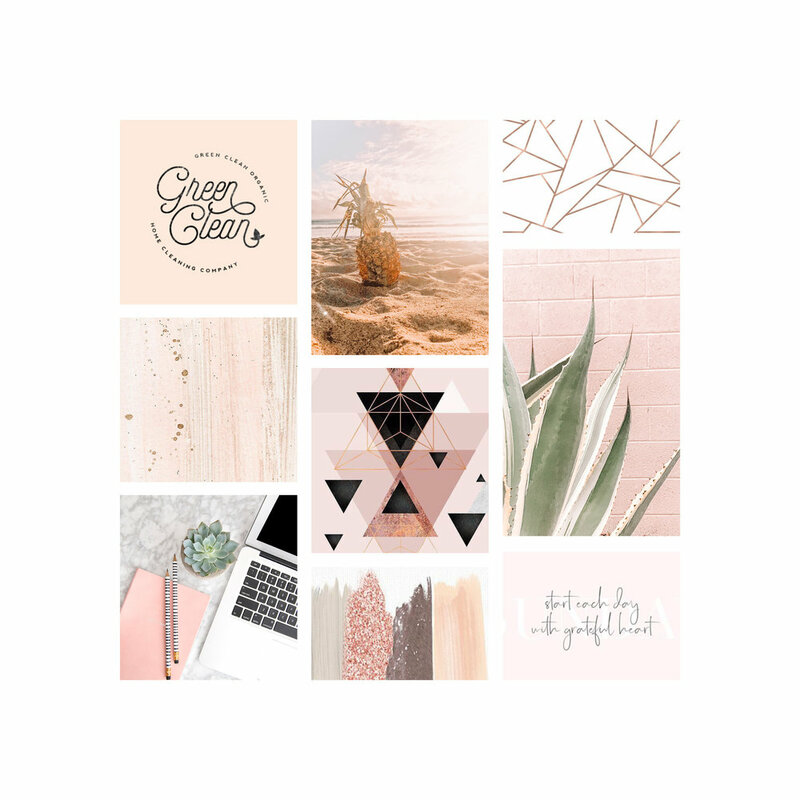 Jess: I decided to work with the Go Live team for my website because I was looking for a team that would develop a space that would reflect my personality and goals in a fun and artistic way. Having this site has provided me with the gift of having a space that allows me to collaborate with so many wonderful people through a fun and interactive platform. Jess: I am so honored to have worked with the Go Live team! Throughout the process, they felt like good friends helping me visualize my dream website and making it all come true!